5. Make some notes. 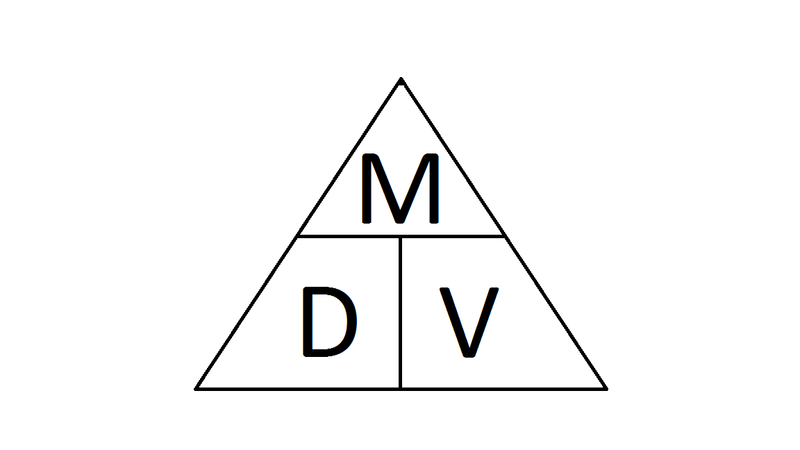 They must (1) define density, (2) include the formula for density [Density = Mass/Volume] (3) the triangle of truth and (4) four examples of different densities. Compare two different states as well. For example, two solids and two liquids. I will: Learn about Density and how to calculate values. I can: follow lab procedure to complete the two labs this week. 2. Notes and questionaire on Solubility Chart. 1. Today is exam prep. I will go over any questions or concerns you have about the exam. Today we are: Experimenting and Learning about Viscosity. I will: demonstrate my ability follow lab procedures and experiment with viscosity. I can: explain the difference between high and low viscous materials. I can: show where I created this information. 1. Let's go to the lab and determine the viscosity of motor oil. See handout on lab activity. 3. To learn about Viscosity and Flow rate, here is a quick video showing Viscosity. 4. This is an old B&W video. 5. What does the saying "slow as molasses in january" really mean? 5. Mr. I will demo this for you tomorrow. This week we are: Completing our understanding of Solutions and introducing Solubility charts. I will: complete the topic solubility curve questionnaires. 2. Demo burnless fire. Discuss the relationship between concentrations and physical properties. 3. Demo exploding paint can. Discuss the relationship between reaction rates and concentrations. 1. Introduction of Solubility Chart/Table with reference to our Sodium Acetate Lab. 2. Practice on reading data off solubility chart. 3. Complete the solubility curve questionnaire. 1. Lab activity. Mixing Milk. 2. Complete mixing milk activity. I can: calculate horizontal projectile questions involving acceleration in one plane with a uniform velocity. 1. Provide an example of horizontal projectile motion. 2. Work on the horizontal projectile motion questions. 1. Talk about pringle canon lab. 2. Go over horizontal projectile motion, check for questions and provide key. 4. Work on angled projectile motion questions. 1. Formative assessment on horizontal projectile motion. 2. Go over any issues or concerns. 3. Handout Extra Practice for projectile motion. 4. Work on questions in student gathering area, work with students who need remediation. 1. Lets see if we can understand how to read this chart and define unsaturated, saturated and supersaturated. Watch these videos Please or at least the first one. If you think you understand it, then complete the questionnaire. I will: complete the topic solutions questionnaires. 1. Review what we did last week. We had lots of people gone for student council, sports. etc. 2. Talk to those who haven't done the quiz. Today or tomorrow during Tutorial. 3. Lab Demo on Solutions; Solute, Solvent, method 1 to speed up mixture. 4. Time to complete notes or start, for those who were absent. 2. Add images to lab activity. 1. Formative Assessment on 2D vectors. 2. Review and issues or confusions on 2D vectors. 3. Check for completed HW over thanksgiving. Pringles. 2. Lesson 17. Horizontal Projectile Motion. Playground and Camera. 3. HW on Projectile Motion. 1. Physics quiz on 2D Vectors. 1. Lab Activity: Projectile Motion. 3. Construction of Pringles Canons. 4. If time permitting, introduction discussion on 2D projectile motion. I will: complete my hot & cold lab. I will: look at my crystals from the lab. I can: complete the solutions questionnaire. 1. Lets go to the lab and start the crystal lab activity. 2.. Lets watch some videos about a cool solid solution. - this explains how they make it. - watch it in action. - where will we see it next? 3. Let's now talk about the solution as a class. 5, Catch up on your hot & cold lab. Make sure to share it back with me. Did you complete your solutions notes? I will: demonstrate my understanding of matter. 1. Complete your quiz. It is located here. I will: provide examples of different solutions. I can: provide at least one way to speed up the making of a solution. 1. Let review from the last questionnaire on Classification of Matter. - this one will quickly explain what a solution is. - this one is long, very in depth, but GOOD! 2. Let's now talk about solutions as a class. 3. Now we need to make some new notes on Solutions. They must define solute and solvent. They must explain 2 ways to speed up the making of a solution. 3. Now we will review for the lab tomorrow. I will: complete the topic 1 and 2 questionnaires. I can: describe matter based on states and classification chart. 1. Off to the St. Mary's Reservoir! Let's make a difference. 1. Review what we did on Monday and reflect on our efforts and results. 3. Review: Prep for quiz. Whiteboards and Powerpoint. 3. Lab Activity: Supersaturated solution of Sodium Acetate. Cont. Boil. I can: do awesome on my Chapter test! 1. Review and study period for Math exam tomorrow. 2. Learning log meetings with students. 2. Lesson 1 for Chapter 2. Watch video on Number sets. 3. Review the value of numbers and number lines. I can: draw 1D and 2D vector diagrams and use the information for calculations. I can: provide resultant vectors based on different points of reference. 3. Introduce both Cartesian and Navigator directions. 4. Describe common errors associated with these calculations. 5. Assign practice work and allow students to work on these problems. 2. Provide students with the 4 worksheet differentiated questions. 3. Assign practice work and allow students to work on these problems. 1. Check for questions from Mondays HW and classwork. 2. Let students work on 4 worksheet set. 3. Learning Log reviews today. 4. Formative Assessment on Lessons 13&14. 1. Check for questions from Wednesdays HW and classwork. 2. Introduce Lesson 17. Projectile Motion.